After having a little wander up Euston Road (erm, I think), we got ready and went to KOKO’s. It was quite exciting actually, I love live music, and I think Rachels excitement was rubbing off on me. As for the actual gig, I thought they were pretty awesome. As mentioned (erm, probably) before, I’ wasn’t a huge fan, but they are so good live. We were in the ground area, and standing near the back of that crowd. We were right next to the sound desk, and there was a dude who was filming it for the Vue cinemas. If you were in the Vue, you were probably seeing my hair bouncing about a lot and me turning to grin like a fool at Rach! 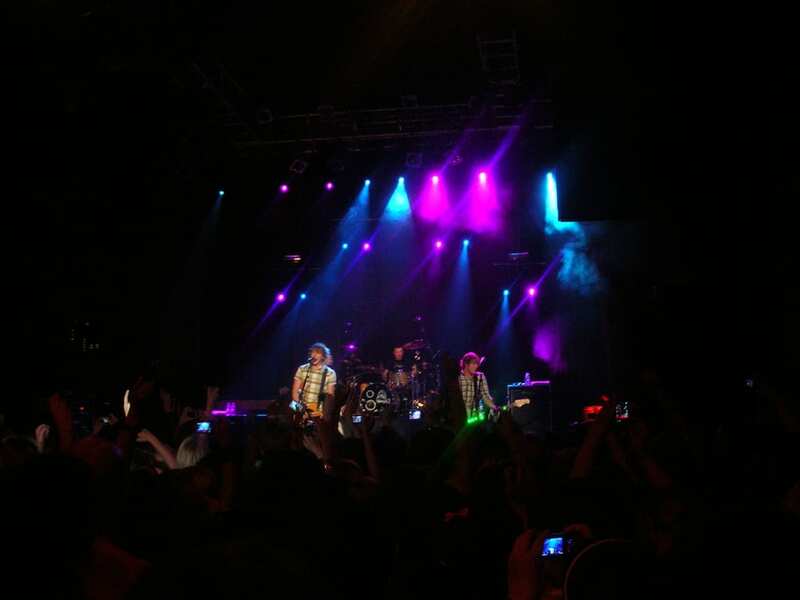 They played a good mix of songs from their new album, Radio:Active and their most popular hits. iTunes has some photos here, along with the set list. Also, more photos (and videos!) can be found here on Flickr. I shall leave you with a video of the final song of the night, 5 Colours In Her Hair.